The campaign in the run-up to the Assembly election was a dull and uneventful affair. The result has brought little over-all change. Yet there were significant signs that the growing alienation from sectarianism, austerity and backward social policies is beginning to find a positive expression, with left forces taking important steps forward. Other than the usual sectarian squabbling, the five main parties which have until now made up the Assembly Executive are fundamentally united when it comes to austerity and neoliberal economics. Their policies have left one in five people in poverty, created mass youth unemployment, maintained sectarian division and denied LGBT equality and a woman’s right to choose. 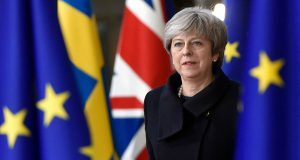 In the new Assembly, the forces of unionism and nationalism will continue to dominate, with the Democratic Unionist Party and Sinn Féin returned as the two largest parties. However, the percentage vote share of all five main parties fell compared to 2011. The Green Party – non-sectarian, socially liberal and critical of austerity – took a step forward, tripling its vote and doubling its number of representatives to two. People Before Profit (PBP) also won its first two Assembly seats. Young councillor Gerry Carroll topped the poll in Sinn Féin’s West Belfast heartland with 23% of the vote, while veteran campaigner Eamonn McCann overcame the odds to take a seat in the Foyle constituency. The PBP is connected to campaigns against cuts, raises the demand for socialist change and describes itself as ‘neither Orange nor Green’. This development shows significant numbers of workers and young people in these constituencies are rejecting the status quo in favour of a left alternative. For the first time, the main parties in the Assembly will be challenged by anti-austerity ideas. People Before Profit’s victories will stimulate debate about the alternative to austerity and sectarianism and give confidence to many that it is possible to win change. However, as well as opportunities, there are potential pitfalls ahead. 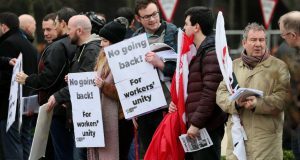 PBP – initiated by the Socialist Workers Party – is largely based in and orientated towardsCatholic working class communities, which is often reflected in its language and the positions it takes on contentious issues such as parades. If the opportunity to build a new, socialist force which can break the stranglehold of sectarianism is to be seized, it is an essential pre-requisite that we unite Protestant and Catholic working class people and genuinely advocate independent working class and anti-sectarian positions on the difficult questions which divide our communities. The Socialist Party worked with other trade unionists and activists to lay down a marker for the kind of genuinely cross-community left which is needed by launching Labour Alternative. 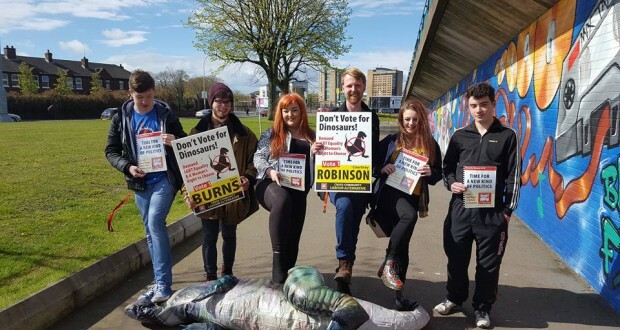 The aim was to appeal to young people attracted to the politics of Jeremy Corbyn and to begin rebuilding Northern Ireland’s historic anti-sectarian, labour tradition. Our three candidates and our activists were drawn from both Protestant and Catholic backgrounds and campaigned actively in both communities. 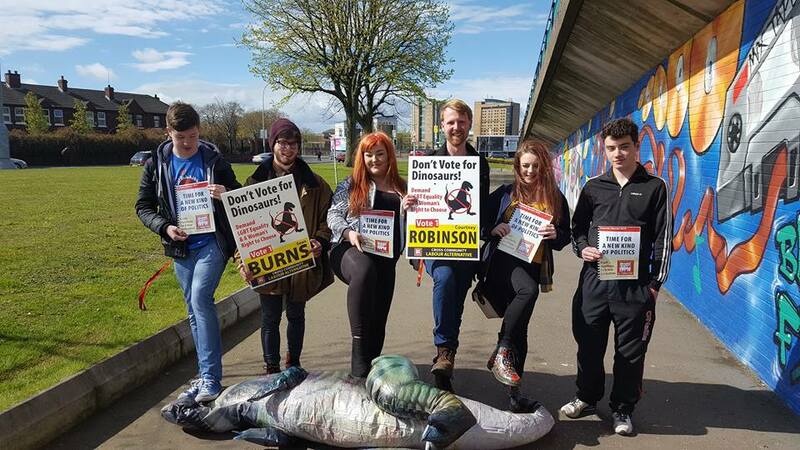 Our combative approach in demanding LGBT equality, women’s right to choose and our clear anti-austerity, socialist message (with posters asking that people “Don’t vote for dinosaurs!”) caught the imagination of many young people. We got messages from dozens of people saying they had turned out to vote for the first time ever for Labour Alternative. Our candidates won between 515 and 871 votes, almost 2,000 in total. In each constituency, we registered the largest vote for socialist, labour movement candidates in decades. In two of the constituencies, these votes were won despite major campaigns by the Greens, where they were fighting for seats. In South Belfast, Sean Burns beat everyone except the Executive parties and the Greens. These results are a solid basis upon which to build an anti-sectarian, left force in these areas and across Northern Ireland.